Driven by curiosity. Inspired by nature. Passionate about designing for you. Drew, as he prefers being called, is a native Montanan residing in Texas, practicing architecture in both regions. Drew began his career designing multi-million dollar ski-in/ ski-out and golf course residences at the world’s only private ski and golf community, the Yellowstone Club. His work can also be seen at Big Sky Resort and across the greater Yellowstone National Park region. Drew is an architect with a consulting background for a Fortune 100 company. His division specializes in environmental design and building science, where he focuses specifically on energy modeling and high-performance design detailing. 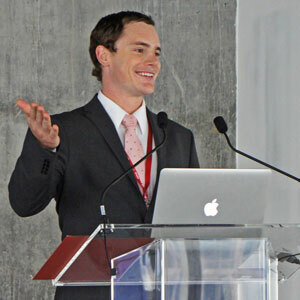 His mission is to better educate the community and clients about the significance of responsible design. In so doing, he gives insight into how architecture improves sense of place and creates value within a community. He takes delight in collaborating with clients, and enjoys seeing the relationship grow throughout the process, creating clients who become like family. Driven by curiosity. Inspired by nature. Passionate about designing for you.